Dr. Dumonski was born and raised in Connecticut. Prior to joining Guilford Orthopaedic and Sports Medicine Center in 2010, he gained extensive and diverse experience in the field of spine surgery. Dr. Dumonski specializes in surgical and non-surgical conditions related to the cervical, thoracic and lumbar spine, and is board-certified in orthopaedic surgery. His surgical expertise includes spinal decompressive procedures, routine and complex spinal fusions, minimally invasive procedures, as well as motion preservation procedures such as artificial disc replacement. Prior to joining Guilford Orthopaedic and Sports Medicine Center in 2010, he proudly trained at the country’s highest-regarded spine institutions. 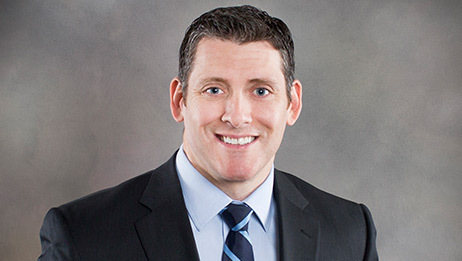 After completing his undergraduate training and medical school at the University of Connecticut, Dr. Dumonski completed his orthopaedic residency at Rush University in Chicago, IL. There, as chief resident, he was awarded “Resident Teacher of the Year” by his peers, a clear reflection of his ongoing commitment to ensuring every patient a full and thorough understanding of his or her spinal condition and its associated treatment options. After residency, Dr. Dumonski dedicated an additional year of training at a spine surgery fellowship at Thomas Jefferson University in Philadelphia, PA. There, he gained valuable experience in diverse and complex conditions of the spine, again training with the world’s leading spine surgeons. Throughout residency and fellowship, Dr. Dumonski has had the unique distinction of training extensively with both orthopaedic spine surgeons and neurosurgeons, and as a result, is uniquely able to approach any given patient from both perspectives. Over the course of his practice at Guilford Orthopaedics, Dr. Dumonski has become well-known for his exceptional bedside manner and patient outcomes. Dr. Dumonski and his high-school sweetheart moved to North Carolina in 2010, and they have absolutely loved every aspect of living in the region ever since. An avid athlete, Dr. Dumonski particularly enjoys running and has completed 14 marathons. He also regularly plays drums with the worship team at Daystar Church in Greensboro. When he’s not treating patients, exercising, or leading worship, he will very likely be found in Summerfield with his wife, Wendy, their twin girls, Alexa and Brianna, and his son, Zachary. View Dr. Mark Dumonski patient reviews from Google.